Recently, I’ve heard people compare the stigma of mental illness to the stigma faced by individuals with cancer. Cancer and stigma; I never knew. It was a surprise to me that cancer patients have been and still are stigmatized. I wear pink ribbons, walk for cancer, hang with friends who battle cancer. My father succumbed to cancer in 2007 and cancer took my grandmother in her 93rd year. Cancer is a killer; but in my social and familial circles, it is an out-of-the-closet, talked about disease. But mental illness? No. We don’t really talk about that. What is stigma? According to the Oxford Dictionary, stigma is “a mark of disgrace associated with a particular circumstance, quality, or person.” The first example given is “the stigma of mental disorder”. Ouch. There it is. In perpetuity for all to see. 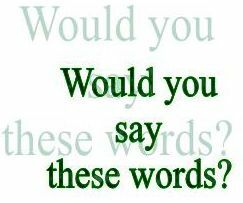 Unless changed, the words stigma and mental disorder are forever bound together in a trusted resource. At least the Merriam-Webster online definition adds the words “often unfair beliefs”. I belong to a ‘secret society’. We meet on Facebook and talk about our concerns for our loved ones and the lack of access to adequate and appropriate care. Some of us advocate for mental health issues; others share current medical findings; still others attend or lead support groups. Each of us is trying to find our voice. But none of us will speak out if it will harm our loved ones. 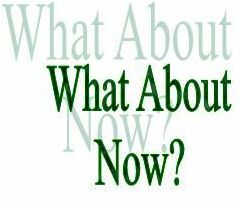 Here is my question to you. If you were asked to stand up in front of friends, coworkers, or perhaps at church, how would you feel if you had to say, “I have been diagnosed with cancer, and I’m going to need your support and comfort.” This would be difficult for me. I am such a private person. But knowing my friends and my community, I think the outpouring of support and comfort would far exceed any marginalization I might face. But let’s take this scenario one step further. Substitute the words “mental illness”, or better yet, be specific and use the words “bipolar disorder”, or “schizophrenia” in your announcement to your peers. Here you go; just stand up and say these words: “I have been diagnosed with schizophrenia, and I’m going to need your support and comfort.” How would your friends, coworkers, and church-going acquaintances react to your announcement? Are you cringing at the thought of announcing a diagnosis of mental illness? Chances are after an announcement like that you would feel more alone than ever before. There would probably be those who whisper misunderstandings among themselves: perpetuating prejudices; fanning fear. Their whispers could make it difficult for you to retain or find housing, jobs, or friends. Already beaten down, your self-confidence and self-esteem might take another mighty blow. There would be the curious. They would ask questions; very uncomfortable probing questions. There would be others who either have a mental illness or who care about someone who has been diagnosed with a mental illness. These people understand that mental illness can be managed. They will approach you quietly and let you know they care. Some will then walk away never to be seen again. A few others might become friends. Does a handful of friends make up for the whispers, odd questions, and ostracism? Unfortunately, probably not. Even in today’s knowledge-at-your-fingertips world, 44% of people know little about mental illness.1 We all know that people are afraid of what they do not understand, and many people do not understand mental illness. The same article that reports the lack of knowledge indicated that 84% of people surveyed wanted to know more about the warning signs of mental illness. I believe that this means that there are many people who are open-minded, ready to learn, and who most likely know someone who has a mental illness. Going it alone is difficult. But there are other ways to get the message out and to share the knowledge that mental illnesses are manageable diseases. Here are some sites offering ways to take action against the stigma of mental illness. The National Alliance on Mental Illness (NAMI) started Stigmabusters, a campaign to confront inaccurate and demeaning portrayals of people with mental illness. 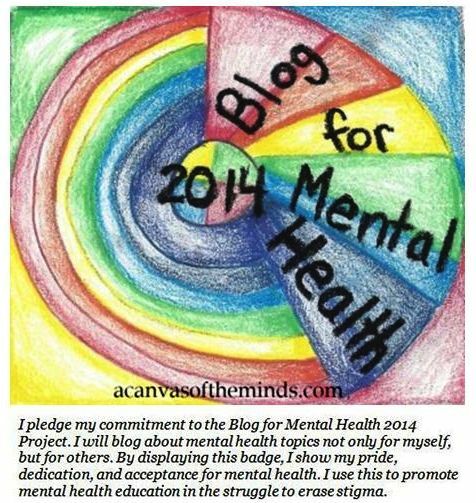 Individuals blog at the Canvas of the Minds and its sister-site, Blog for Mental Health. Radio shows such as One Hour at a Time, provide a forum for individuals managing their illnesses and medical experts to discuss today’s issues and treatments. When I was in high school, I was part of a group that adopted the slogan “Be the Spark”. The slogan was based on the words “It only takes a spark to get a fire going,” from Kurt Keiser’s song Pass It On. Forum’s like NAMI, blogs, and radio shows are giving us the opportunity to learn more and to be the spark. We have a choice. We can watch as the spark of ignorance fans the fear and stigma of mental illness. Or with courage, and knowledge that we are not alone, our spark can feed the flame of knowledge and understanding. This entry was posted in Health, Inspiration, Leadership and tagged Fear, Ghandi, Leadership, Mental Health, NAMI, Stigma. Bookmark the permalink.